N3RDFUSION’s fifth podcast will take place this Sunday April 26th at 5pm EST as usual. Their community question this week is “Describe the moment that you realized that you were hooked on twitch and/or YouTube. 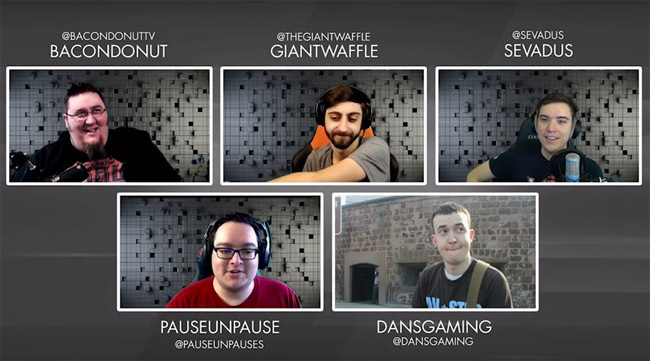 What funny or memorable thing made you realize that you were going to keep coming back for more?” Our answer would have to be when we started watching more Twitch than actual TV and the memorable moment that made us come back was how involved the community was with each individual streamer. Head over to the N3RDFUSION SubReddit to give your response and don’t forget to tune into the fifth podcast by the N3RDS.